We’ve just launched a new important marketing feature for all Bookeo users: customer reviews. Customer reviews are a complete overhaul and extension of the old ‘Feedback’ system, and now let you do much more. At the end of a visit, Bookeo can send out an email to the customer, with a fully customizable thank you message, asking to leave a review. The customer just clicks on a big button in the email, and leaves the review (rating and comment). You as manager are notified of new reviews in your Home page. You can also view all past reviews from all customers. Each review is also accessible from its associated booking, and you can view all reviews left by a customer. When editing a review, you can now publish it. To publish a review means to show it to other customers, when they make a booking or even directly in your web site. When publishing a review you can also select part of the comment as summary, which is very handy when customers leave long reviews and you only want to show your favorite snippet of text (“Great experience!” etc). 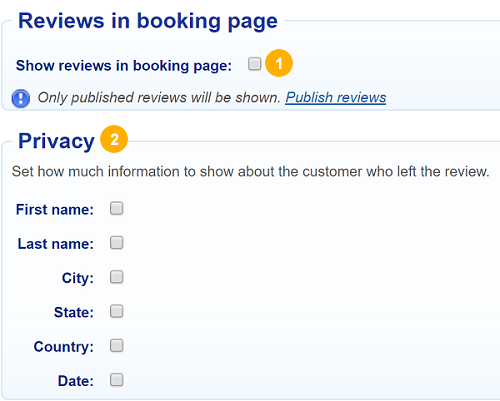 You can automatically show reviews in the booking page (at each step of the booking process) and even in your own web site. 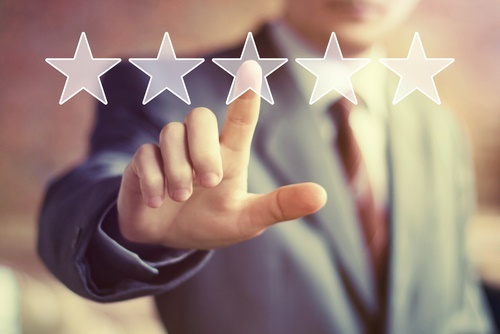 Automatically showing reviews in your own web site is a feature unique to Bookeo which we think is extremely important for marketing. After all, you want to use reviews to convince your customers to make a booking with you, so it is very important to show them even before they reach your booking page. So you can easily insert a small review widget in any page of your web site, in the position that you prefer. You can customize colors, styles, backgrounds, size, end even how many reviews to show. Customers can easily navigate in the widget to view all your reviews, or to expand a review to view the full comment. As usual we’re very sensitive about privacy, so you have full control about how many details you want to show about the author of the review. First name? Last name? City? Country? etc. You can reveal as little or as much as you want. Finally, you can now export your reviews to a spreadsheet, for your own marketing purposes, exporting to other systems, etc. Using Bookeo Reviews you can now easily attract more bookings, and convert web site visitors into paying customers!